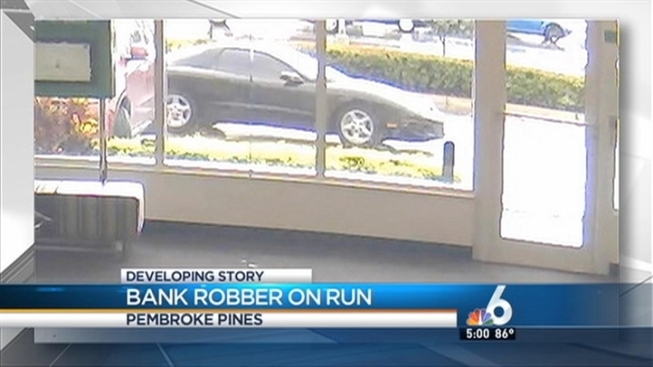 Two men entered a Pembroke Pines TD Bank at 12:40 p.m. Wednesday, the FBI said. Authorities are searching for two men caught in photos as they were robbing a Pembroke Pines bank. 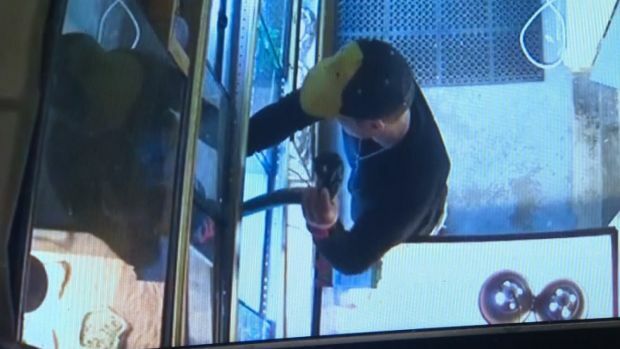 The two men entered the TD Bank, located on 7999 Pines Boulevard, at 12:40 p.m. Wednesday and demanded money from an employee, the FBI said. Shots were fired and money was taken from the bank, but the FBI has not released the amount of money stolen. The two men are believed to have escaped in an older model black Firebird/Trans Am with chrome wheels, spoiler on the rear hatch and dark tinted windows, the FBI said. Anyone with information is asked to contact the FBI at (305) 944-9101.